My baby’s occupational therapists suspect he is comforted by deep pressure. When I give him compressions, he smiles, so he definitely doesn’t dislike it. We thought he might sleep better if he had some pressure on him while sleeping. So, I looked into a weighted blanket. The more I thought about it, I realized even I would sleep better with one. There aren’t many people out there making them, and I wasn’t thrilled with the look of the ones out there. Oh, and they’re expensive. So, you know what that means. Sewing project! The occupational therapist told me the weight should be 10% of his body weight plus one pound, so I was ready to make this thing. I wasn’t sure how big of a blanket I should make. More coverage seems better, but such a small amount of weight distributed over a huge area seemed like it might not have much impact. I could go either way, but this time I tried out a smaller blanket. It can serve as a lap blanket later, which I saw a lot of online. I could see my bigger little guy focusing better with something like that. Fabric- I got about half a yard. I chose fleece for durability. Poly pellets- I picked up a two-pound bag. I could have done more, but this was easier. 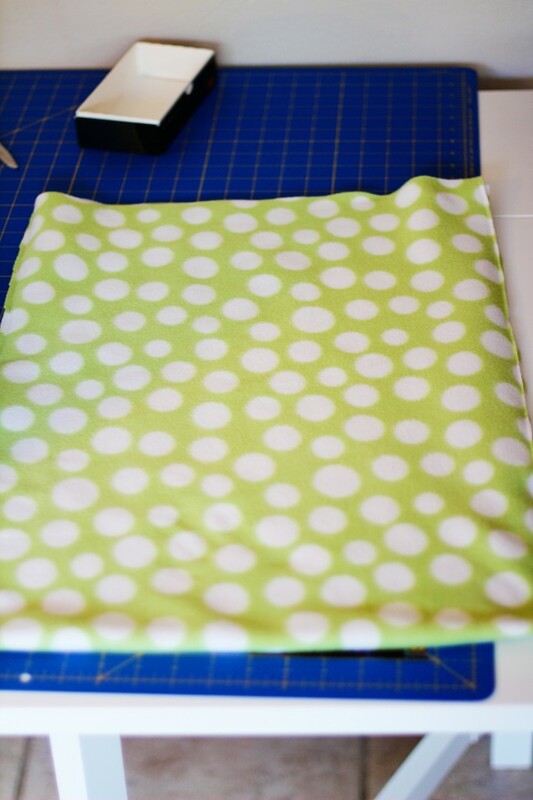 Fold the fabric, right sides facing. Sew 1/2” seams up the two sides, leaving one side open. It should look like a sack. Turn the sack inside out. 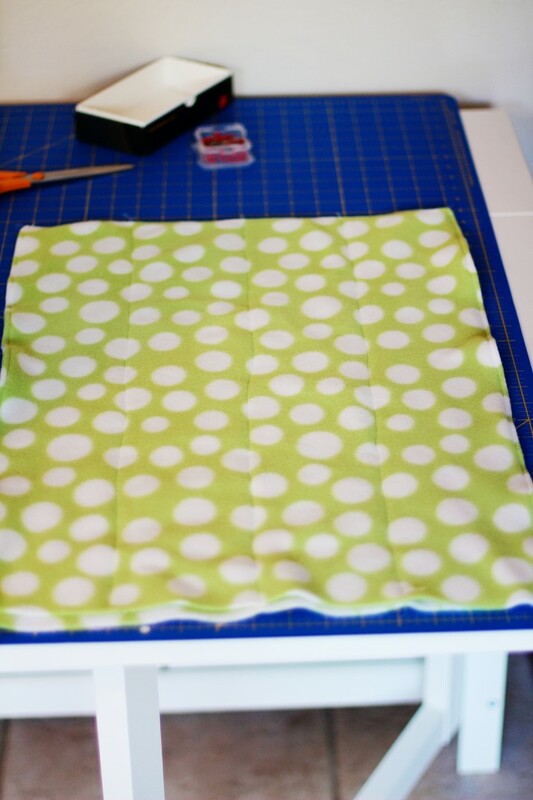 Measure sack’s length and width and decide how many squares you will make. 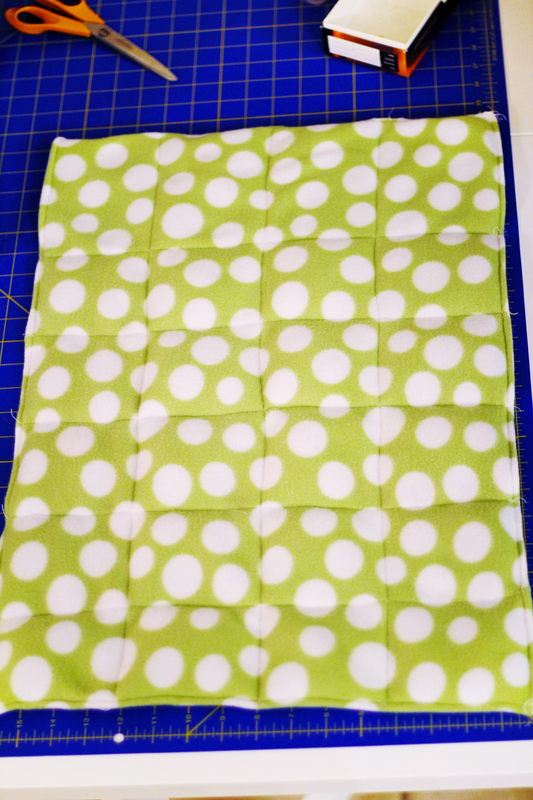 I decided to make ~4” squares, so the blanket would be 4×6 squares. Place pins marking where the seams will go. Sew seams perpendicular to the opening edge, creating channels approximately 4” wide. Divide total weight or volume of pellets by the total number of squares you will have. 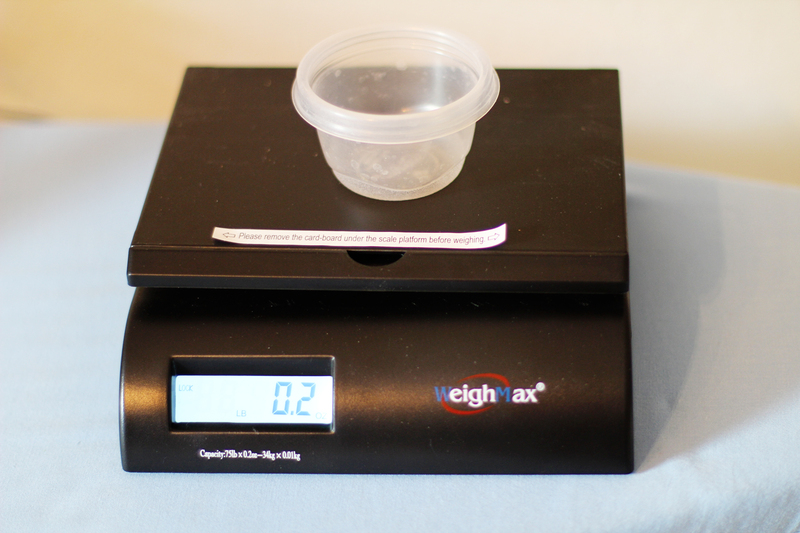 I knew I needed about 1.33oz in each of my 24 squares, so I used my husband’s shipping scale to see what kind of volume weighed that much, then found a measuring cup that was closest to that volume to use as a scooper. After the channels are formed, scoop the correct amount of pellets per square and pour it into each channel. 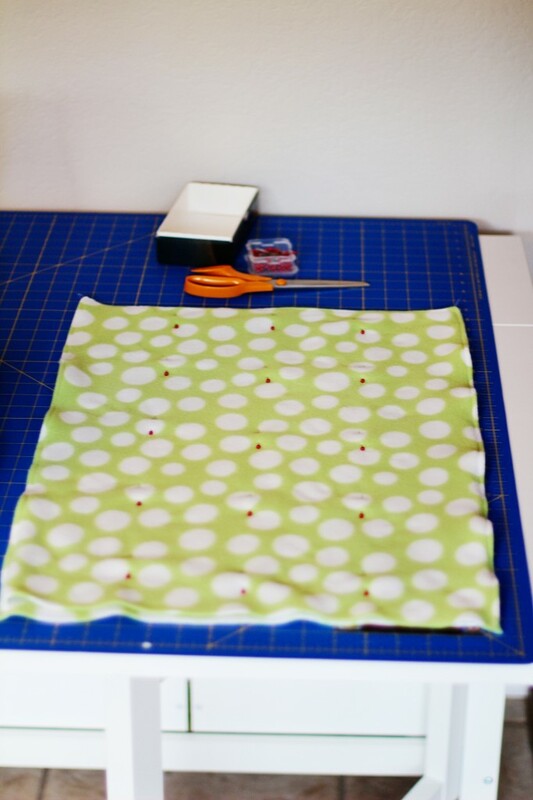 Settle the pellets into the bottom, and sew, following the pins, to close the first row of squares. Repeat until the last row is full of pellets and open at the top. Fold the top edges inward. Top-stitch the top folded edges. 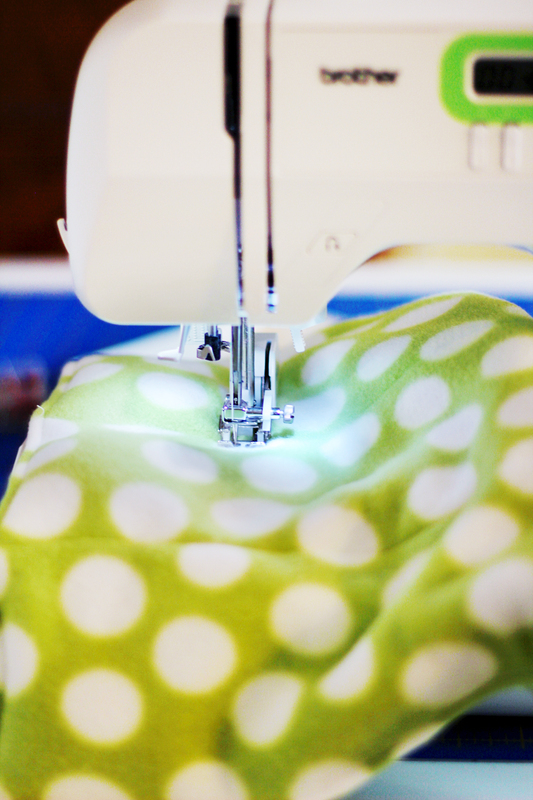 Go back and sew along your seam again. We use it almost every time our baby goes to bed. Sometimes, he’s a little fussy when we put him down, but once he settles a bit, we lay it on him up to his armpits. Then, his eyes close. Yes! And check out my other tutorials on the DIY page for more inspiration! Have fun! 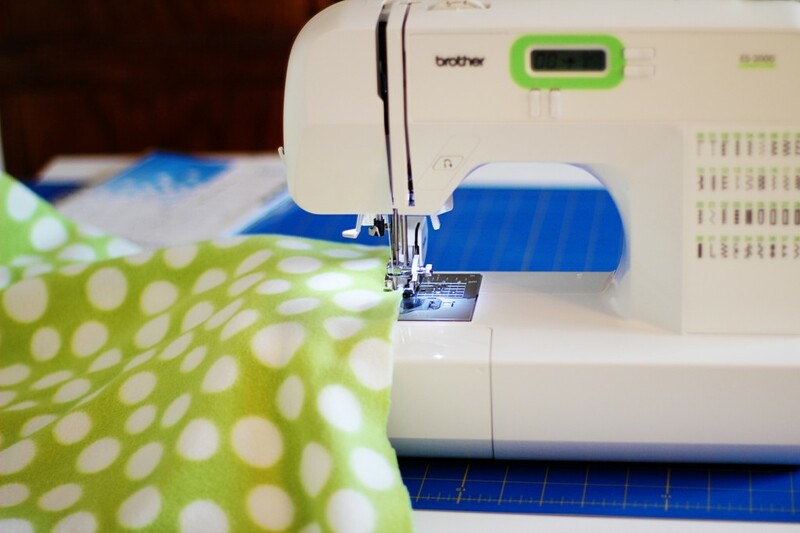 If you make a blanket using this tutorial, I’d love to see a picture of the final product! Feel free to post it in the comments! How old is your son? I feel like my daughter would love this but I worry about suffocating her! It is too cute! I advise not using a weighted blanket until your pediatrician and yourself agree your child is ready. Every child is different. I got it Angela. I hope you got my reply. I’d love to help! I made a blanket for my Granddaughter with pockets and small weighted bad which could be taken out to adjust the weight pf the blanket. Turned out really well. That’s great to hear Candace! Those are a versatile option for growing children! Just a little more complicated than I thought I could make efficiently. But I’m glad it has worked for your granddaughter!! Do you have a pic you could share of the final product? Oh, and thank you for the tutorial! It wasn’t hard to make at all, but it’s nice having someone else’s experience to go by. My son is 2 years old and while he’s just beginning to show signs of sensory seeking, he has Down syndrome and his OT thought one of these might work well for him. If nothing else, I find it comforting just to hold in my lap! That is the cutest blanket! I’m glad the tutorial worked for you. I love the feel of minky, but have found it to slip around a lot. My son doesn’t always keep his blanket on, but he always asks for it at bedtime, so the familiarity, and maybe the initial feeling, is important to him. It does slip around a lot. So far it doesn’t matter for my son. He’s young enough that he doesn’t really keep a blanket on anyway, so it’s more of a snuggly thing. As he gets bigger, if I make another one I may use fleece like you did. 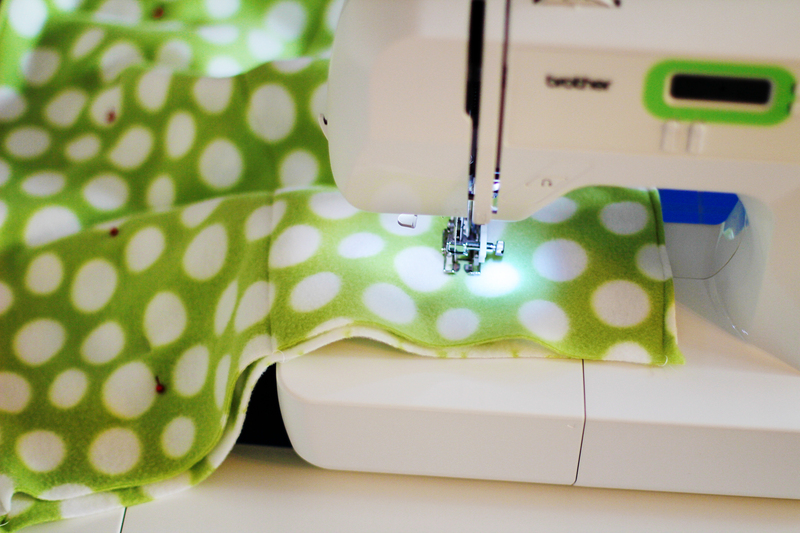 I meant that the minky tends to slip and change shape as I’m trying to cut, line it up, and sew it. I sure do love the feel of it, so I won’t give up! Just look at how great yours looks! i was wondering can you make the blanket like you do with quilts, that you piece the top and have a solid back? Where did you buy the polly pellets from and are they washable? I buy the poly pellets at the local fabric and craft store. They can be washed and dried! If you’re going to make more than one, I would suggest getting the pellets on line as they are so much cheaper. I have made 2 so far, for children and am in the process of making a 3rd, and next month am making two for adults (bigger and heavier). And your tutorial is perfect and led me to making these for people in need. Thank you! That is so great that you found that! Which online retailers have good deals? I’m so happy my tutorial helped you bless so many others! How do you wash your blanket? I want to make a couple for my kids and I’d like to male sure it’s easy to wash. I wash in the washing machine, and dry in the dryer. What does anyone think about using Percale weave sheets for both sides of the blanket? My son sleeps so hot and doesn’t care much for the heat of blankets. Since a Percale weave makes sheets so cool, I think it would do the same for a weighted ‘blanket’. I just wonder about the durability. Thoughts? 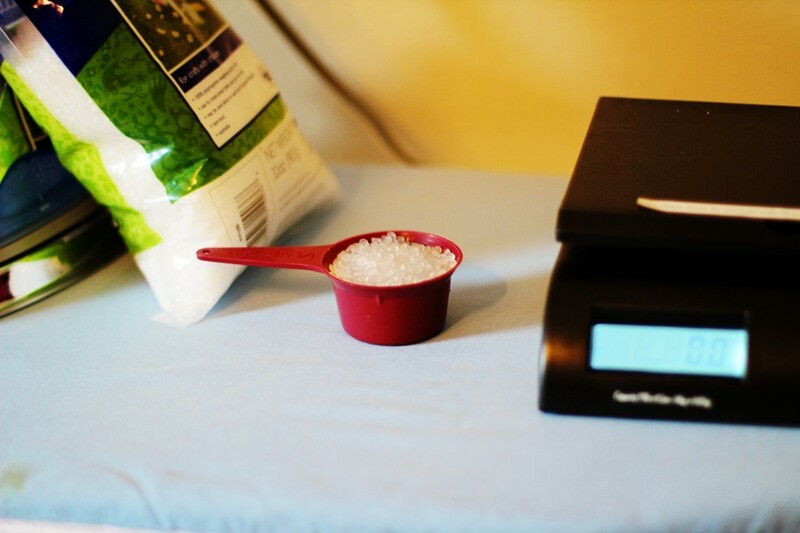 How do you figure how much pellets to use if a child weighs 21 lbs? The maximum weight recommended by occupational therapists is 10% of the user’s body weight plus one pound. I would talk to the pediatrician about what would work best for your little one. I just had a customer at a craft show ask if I could make her a weighted blanket. Do you mind if I use your tutorial to fill her order? Would you say that the plastic pellets would be cooler while the other options would hold more heat? I am looking for the weight not the heat. I have found plastic pellets are the only washable option, which is a must for me. Hi. I have used your tutorial to make some blankets for people in need at a more reasonable price. I have made on for my great nephew ( which his older brother hocked on him, so making another one). 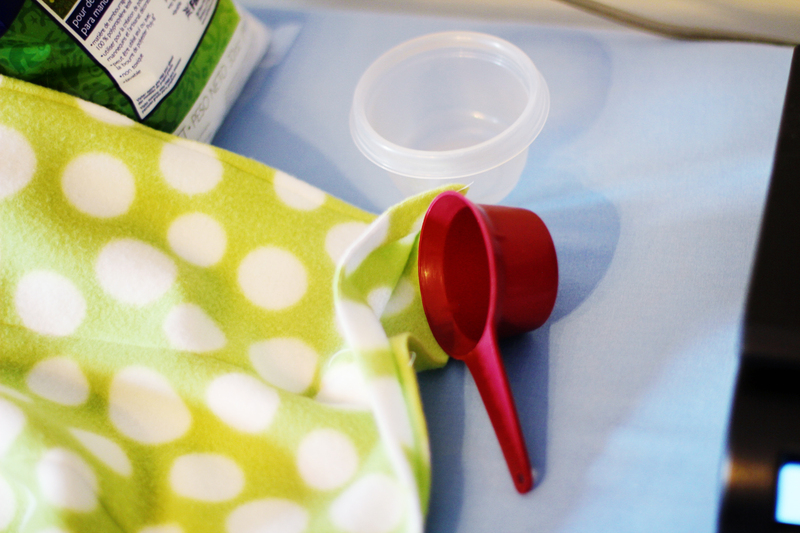 My physiotherapist asked me to make one for his daughter who is an adult but has always had trouble sleeping (wip). I also made one for a lady I met at a crafts show for her nephew who lives in west coast of Canada I couldn’t figure out how to attach pics here. How do you wash it? Just in the washer? Yes. Wash in the washer. Dry in the dryer. Would this size work as a lap blanket? Have you tried the polly fill before? How do the beads slide around in the squares?